I realise my daughter is only three, but it still gets to me every time she matures in some way or learns something new. Just the other day I nearly got teary when she used the word “delicate” correctly. And now that she’s started school, moments of “I wish she wouldn’t grow up so quickly” are coming fast and heavy. Iris had been very happy in our Singapore day care from 3 to 25 months, but having stayed at home with me for the past year, I was worried there might be some separation anxiety when she started pre-kindergarten last week. So I brought her to see her new school three months ago and talked up all the positive things about school (playground, painting, making friends, etc). I even bought her this book in December. 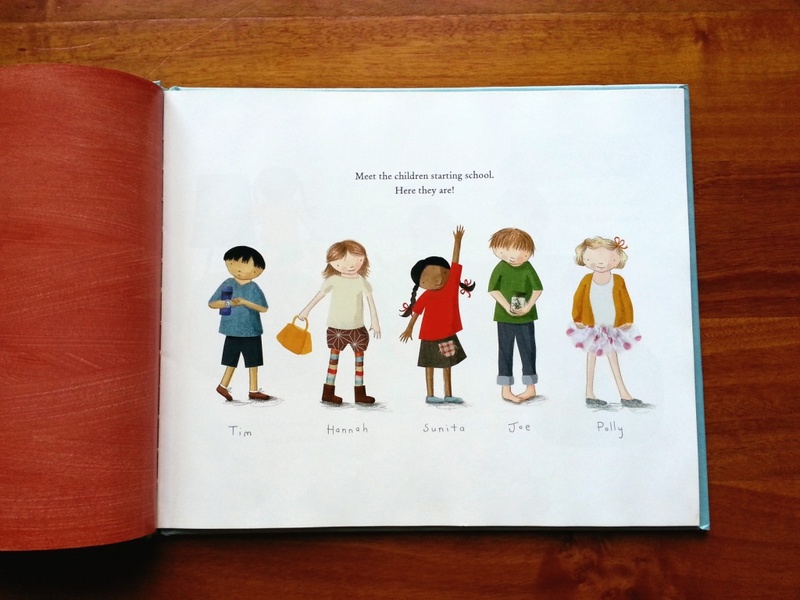 Jane Godwin and Anna Walker’s Starting School is an excellent aid in introducing the idea of school. 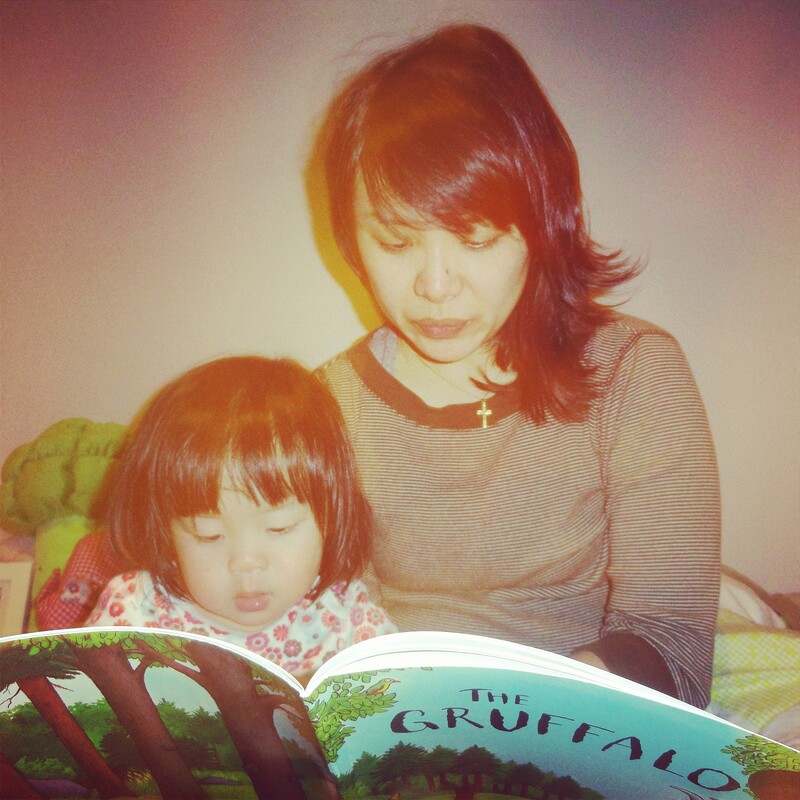 Iris loved it from the first reading and kept me reading it to her for weeks. 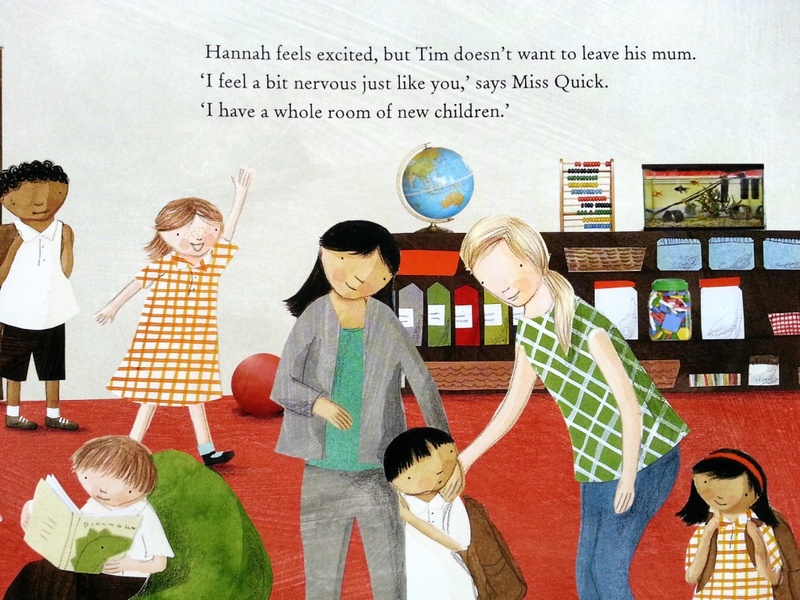 I love the diversity presented and that a child’s negative feelings such as fear and being overwhelmed are very subtly dealt with. I love the feel of the pages too. Flexible yet sturdy with a lovely smell. Yes, I’m a stationery geek. Of course, I really needn’t have worried at all. As the time neared, it was getting more apparent that I was the one suffering from pre-school stress. I checked off her list of necessities, bought everything, prepared a special lunch and on the morning of her first day yelled at husband for not getting us to school at least 15 minutes early. Then when I said I was leaving she went, “Awwww…” gave me a cursory sad face, a hug and then scampered off. I had failed to remember in a letter from January 2013 (and never repeated in any other correspondence) that children attending three days’ of school would go in Wednesday to Friday and not, Monday to Wednesday. Is there such a thing as pre-dementia for mothers of pre-schoolers?